When we lose a loved one, most of us can only dream of having one more minute, an hour or even a day to spend with them. But what if your loved one was on a journey that you never expected will be the last time you will see them? What if you never got the chance to say goodbye or worse that loved one was never found? For the Rybak sisters, Aneta Rybak-Ward and Kasia Rybak, that is what they went through when their father, the late Marian Rybak, never made it back home to Australia. 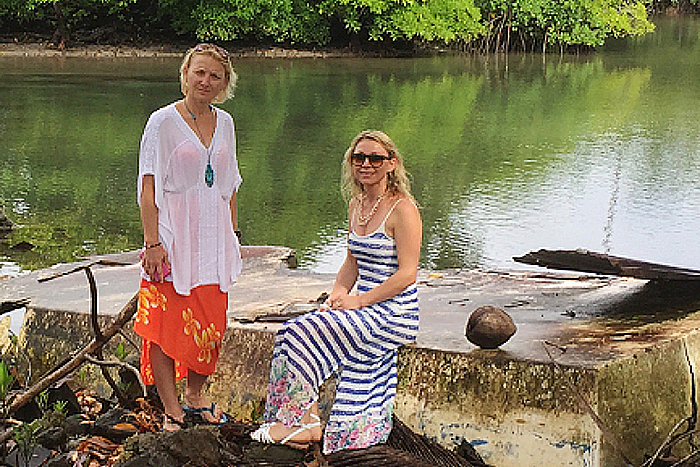 Born in Poland, the Australia-based sisters lost their father during Cyclone Val in 1991 in Samoa. The story goes that Mr. Marian Rybak and two of his other friends, Salvador Antunes and Marek Konash were on a fishing boat called ARGA-J, a 40 foot fibreglass fishing boat. 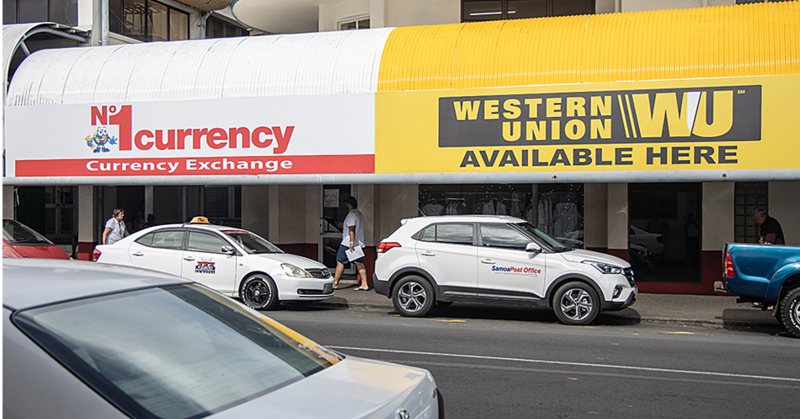 “They arrived in Samoa three weeks before Cyclone Val hit Samoa,” said Ms. Ward. “When Cyclone Val hit Samoa my father and his friends were at the Nu’usafee Island. “They had little experience of the sea and the ocean of Samoa so when Cyclone Val hit, they did not know how to get back to the shore and Nuusafee has got a lot of reefs they did not know how to get back in land. 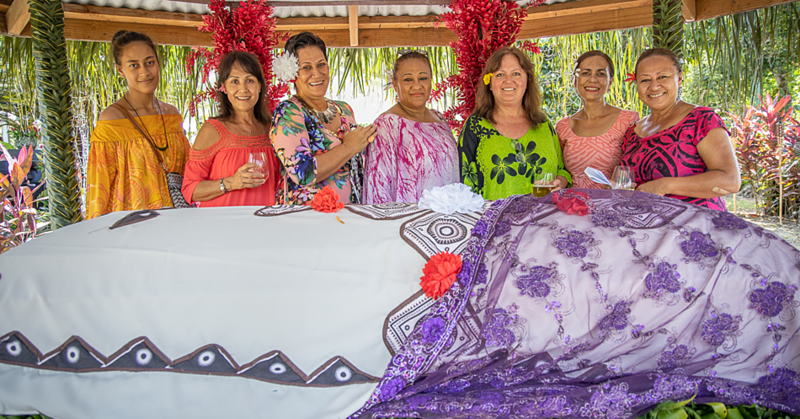 Twenty-five years later, Ms. Ward and her sister decided to make the trip to Samoa. They came to collect whatever they can find so they could put the sad passing of their father to an end. “I was only 19 then and my sister was 13. We were still young then and couldn’t get here so now we came here wanting to find anything that will take us back to when our father was here,” she said. “On the day we arrived at the Faleolo International Airport, Chief Tuatagaloa Joe Annandale came to us by accident and he asked us why we here so we told him the reason of our being here and then he said he will do some research. “Someone found some pieces of my dad’s boat smashed up inland,” she said. “It wasn’t the whole thing but some parts of it that were left. We were told that Cyclone Val smashed up the boat and the tsunami took in on land and left it there for 25 years. “They organised a local surfboard maker from Apia to cut out the remains of the boat's name and we have taken this piece of fibre-glass home with us to Australia. The Rybak sisters returned to Australia this week happy and grateful to the Samoa people. “We are very grateful to the people of Samoa for helping us on this journey and helping us find what we were searching for,” said Ms. Ward. “It is the biggest miracle because we come from Australia and we came here and found our father’s story and then to find his boat still there even though it was not much left was a true miracle. 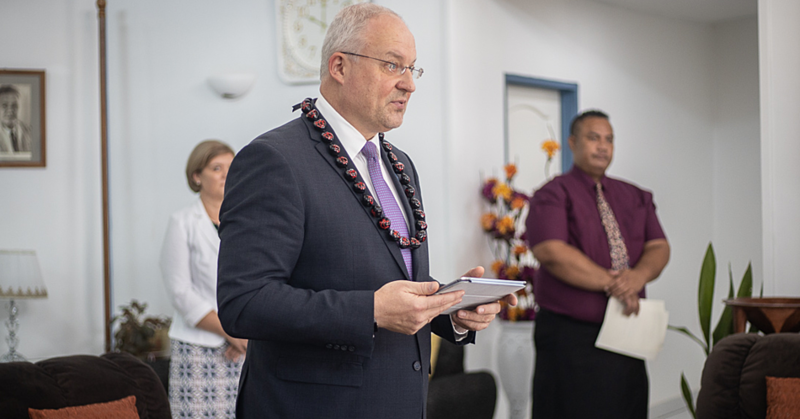 “[And] it was only because of the Samoan people we never ask for help, but Samoa people heard our story and they all came to help us and that has never happened to us before.